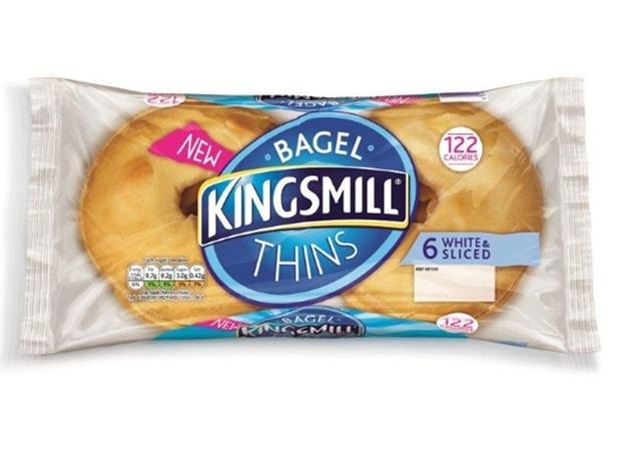 Kingsmill, the bakery brand, has launched Bagel Thins, which are significantly thinner than a regular bagel, and contain only 122 calories. The launch of Kingsmill Bagel Thins swiftly follows the launch of Kingsmill Great White – a white loaf with as much fibre as wholemeal. Kingsmill said that within plant bakery, sandwich alternatives continue to drive strong growth, with volume increasing by 6.7% in the last year (Nielsen Total Coverage, 12 w/e 29th March 2014). Kingsmill Bagel Thins come in a 6-pack format with a RRP of £1.39. They are available in Tesco from 13 May, becoming widely available throughout May.